COLUMBUS, OH- As school buses begin to fill the roadways 104.9 the River is celebrating the close of another amazing and busy summer. 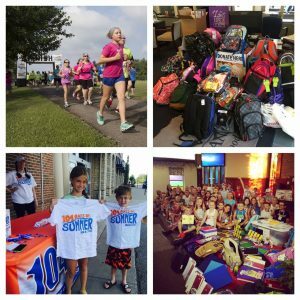 The summer included several large scale promotions such as 104.9 the River’s Vacation Bible School Tour, the Inaugural run of 104.9 the River’s Columbus Family 5k, the 104 Days of Summer, and Mission Backpack. 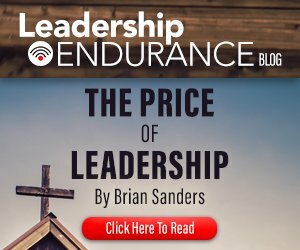 The 2015 Vacation Bible School Tour visited over 70 Vacation Bible Schools, where over 5,000 kids received goodie bags, visits from River Dog, and a faith-based magic show. The 2015 Columbus Family 5K included over 200 runners of all ages, bounce houses, a mascot dash, awards, and a donation to a local ministry (GRIN-Gahanna Residents In Need). 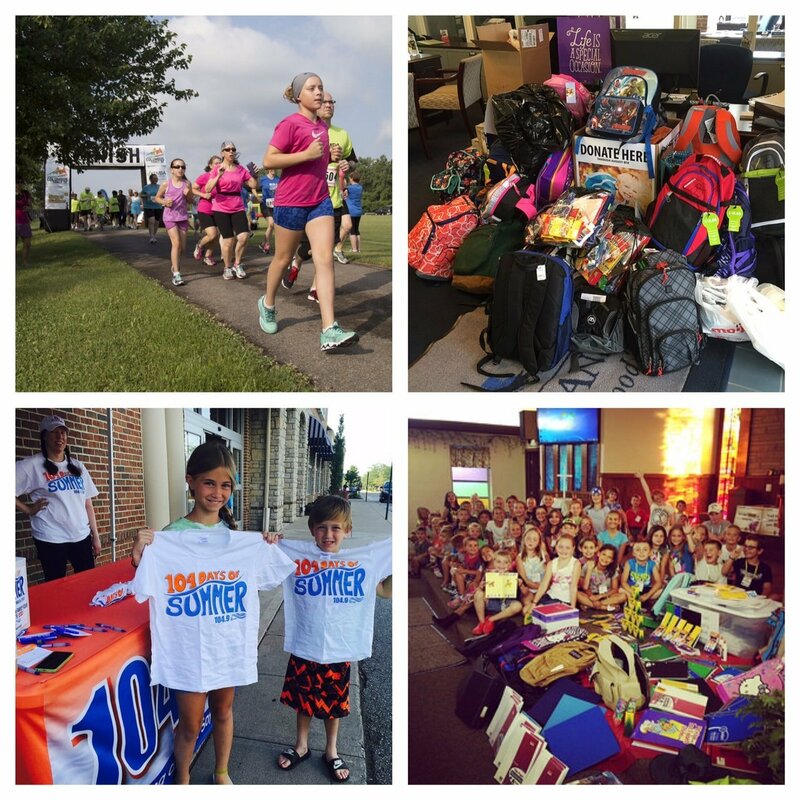 The 2015 104 Days of Summer included over 1700 t-shirt and ice tea giveaways at 17 Kroger grocery store locations and 5 local area swimming pools. Mission Backpack 2015 collected hundreds of backpacks and school supplies from 12 Heartland Bank locations that were donated to the Lutheran Social Services Food Pantry. The Pantry then provided all the backpacks and supplies to parents and children in need. The success of the summer would not have been possible without the hard work of the 2015 River Intern team which included 9 students from The Ohio State University, Mt.Vernon Nazarene University, and Muskingum College. We wrapped up their summer with a special thank you trip to Cedar Point amusement park.